Description: SFV Headband is our original premier strain at High Level Health. It is known for its high THC content. 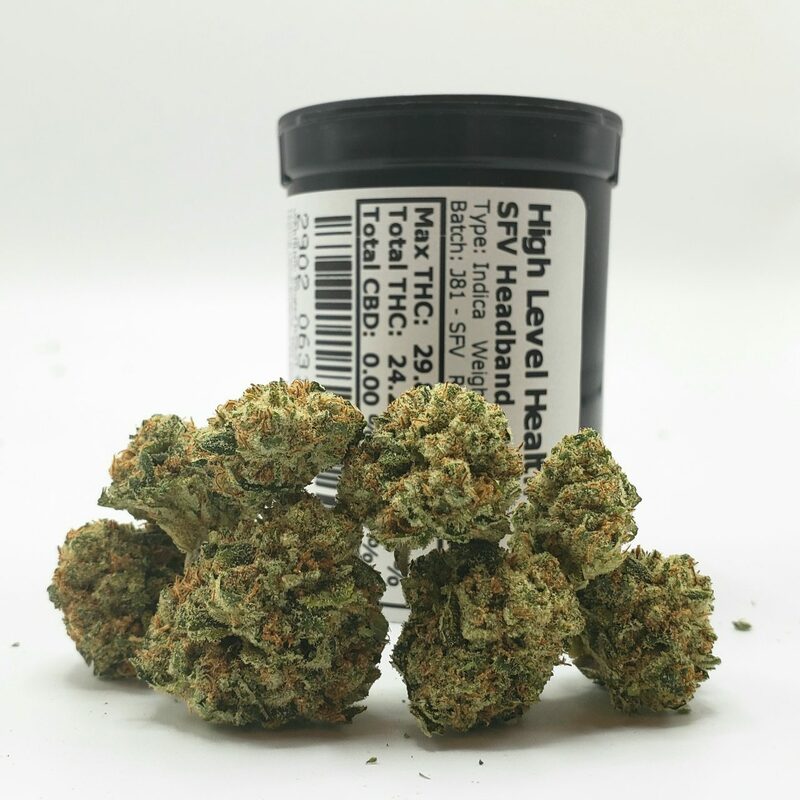 This strain has a consistent high that sets in with a headband effect, then shifts to a heavy OG body high.